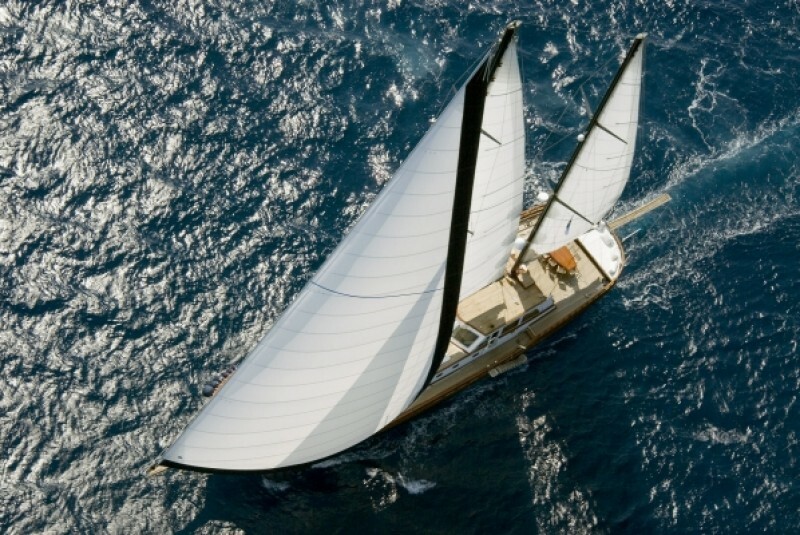 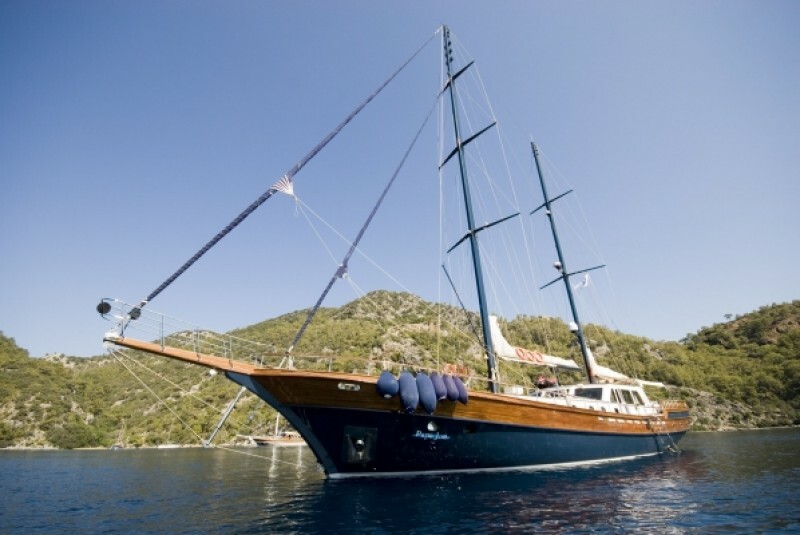 The elegant VIP gulet Papa Joe with her rounded stern typical of a true wooden gulet incorporates ultra-modern design and technology based on the comfortable classic cruising gulets and turns heads in any bay with her characteristic blue painted hull and masts. 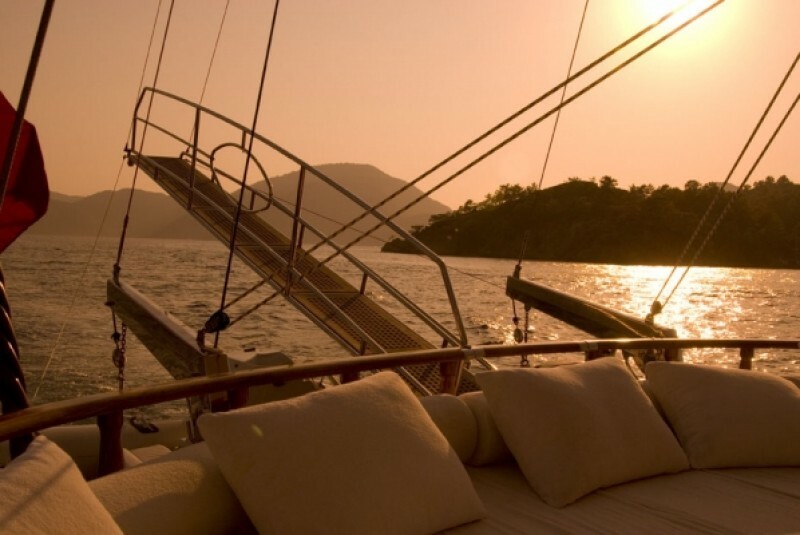 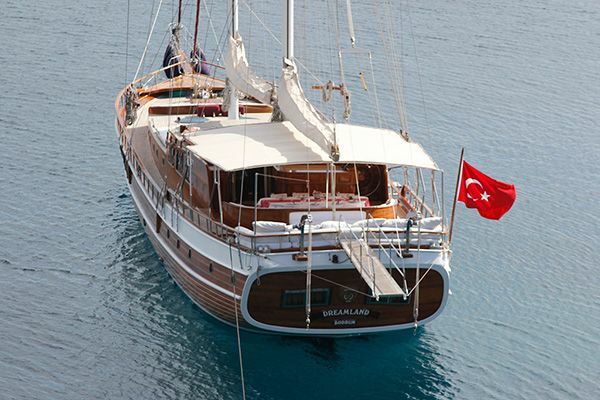 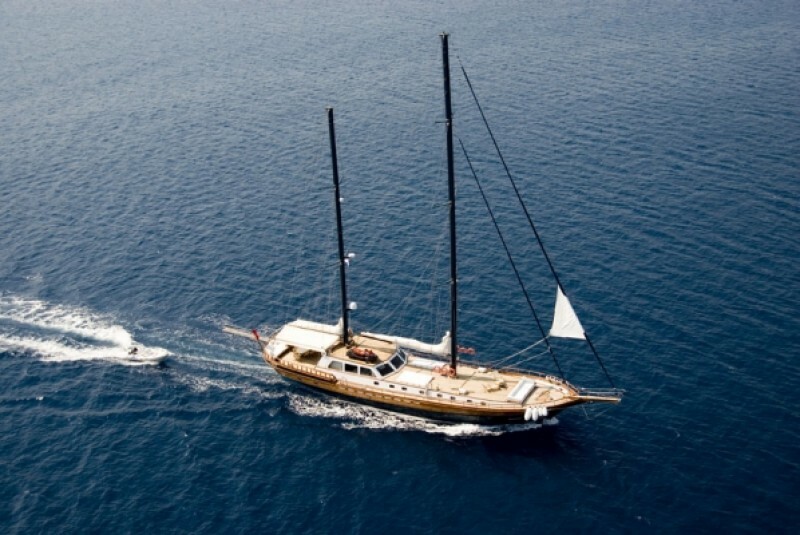 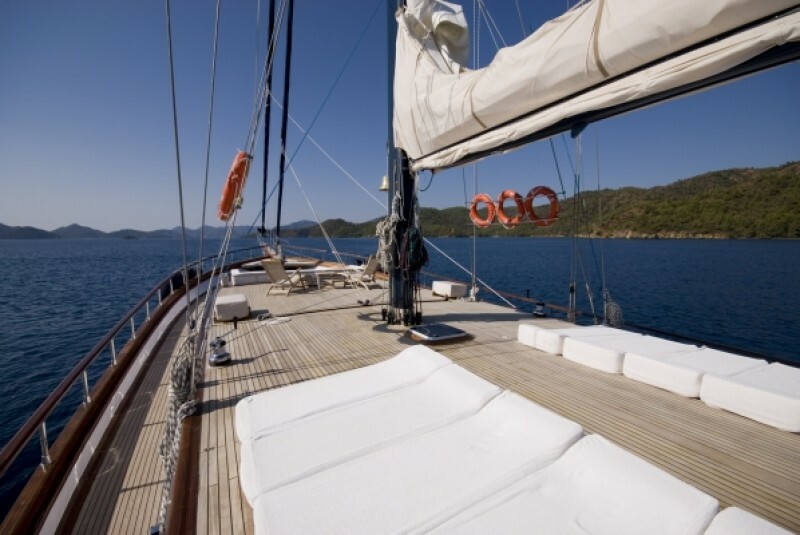 A gulet cruise aboard this glamorous yacht will be an outstanding experience, with guests relaxing in immensely luxurious comfort with space to spare on the 32 meter, 5 cabin luxury gulet, with a highly professional and experienced crew in attendance. 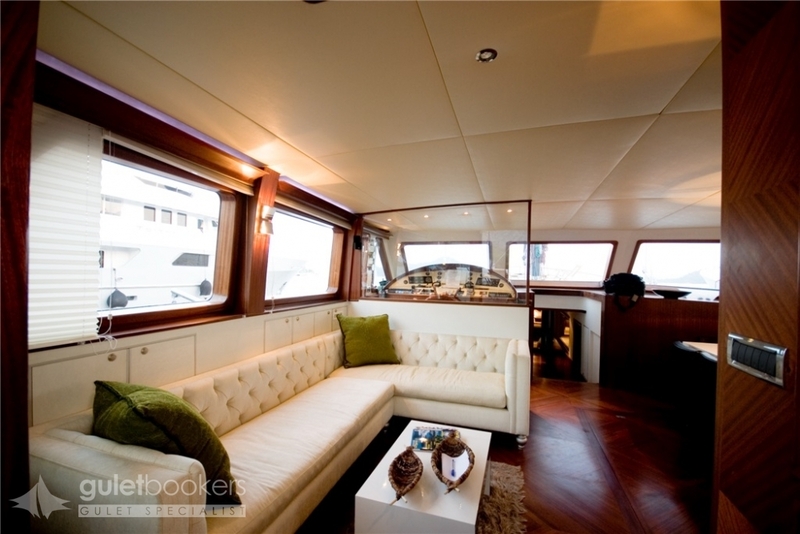 The completely modern décor and design maintains the elegant minimalist and light-filled theme throughout the interior, with the white ceiling and the luxury textiles set against the superb polished luxury mahogany wood details and floors. 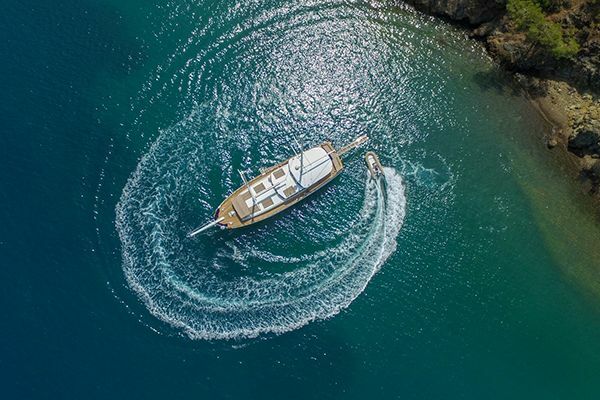 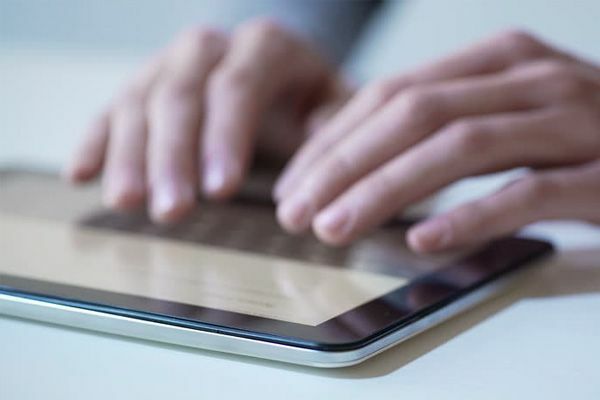 The choice of high tech fittings and attention to low noise, high comfort is demonstrated in details such as individual controls of air-conditioning and sound systems. 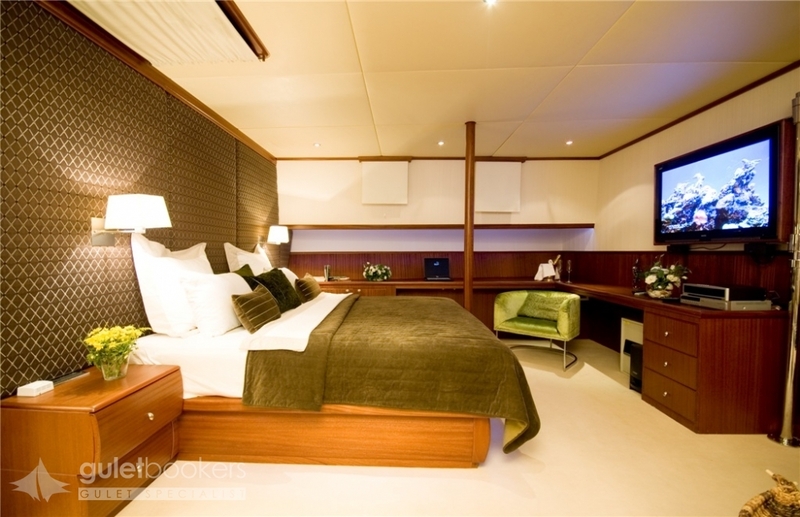 The master cabin on exclusive yacht Papa Joe enjoys lavish space with a king size bed, ample storage and a roomy bathroom with everything guests need. 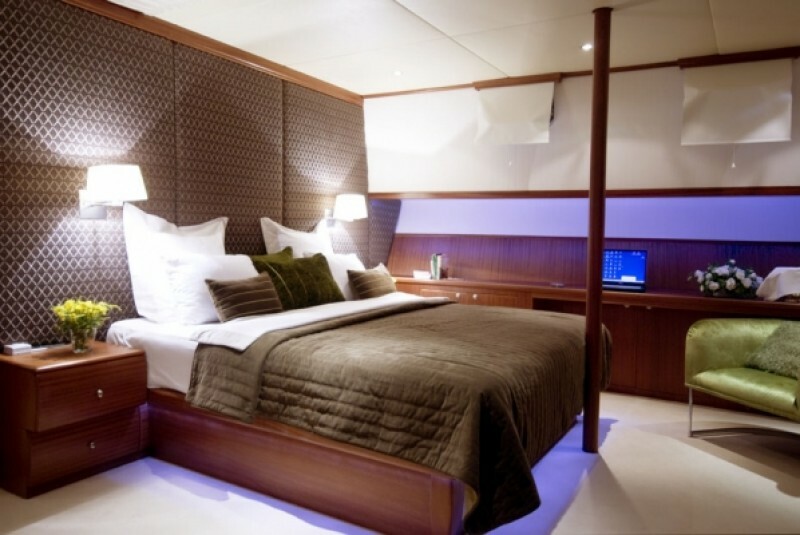 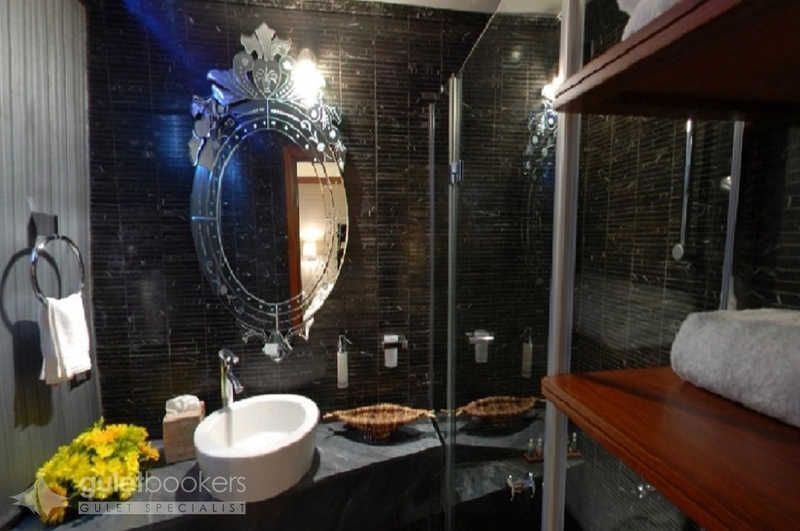 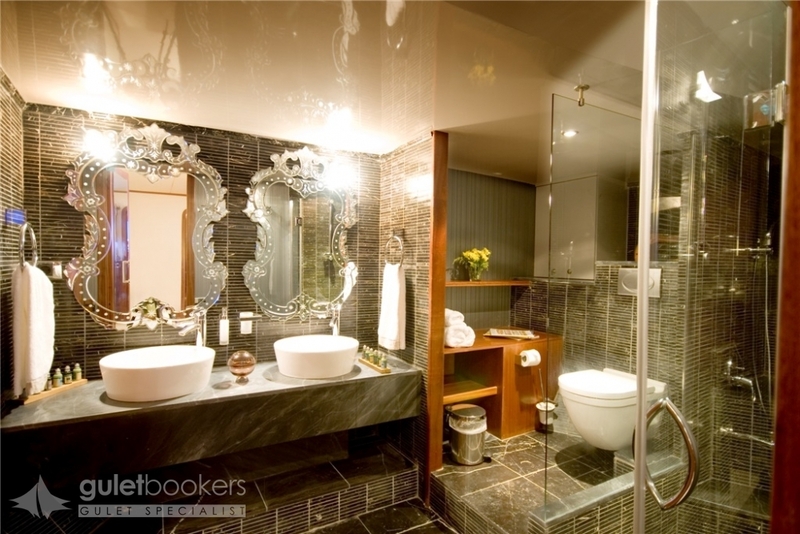 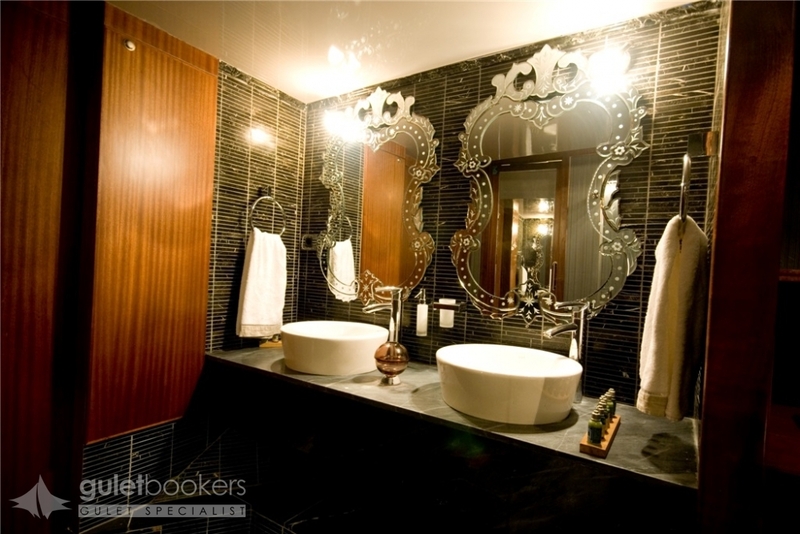 The four double cabins with queen size beds also enjoy well-designed space and their own bathrooms. 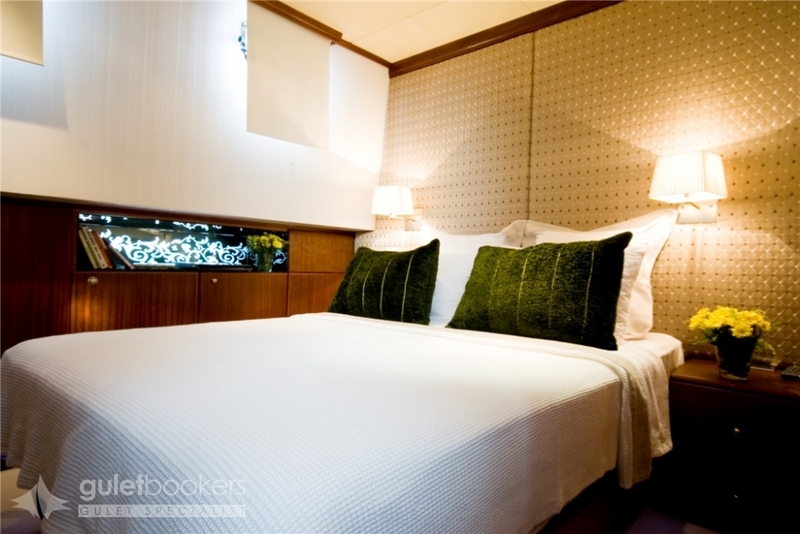 One of the double bed cabins can be connected to the master cabin to make a family suite. 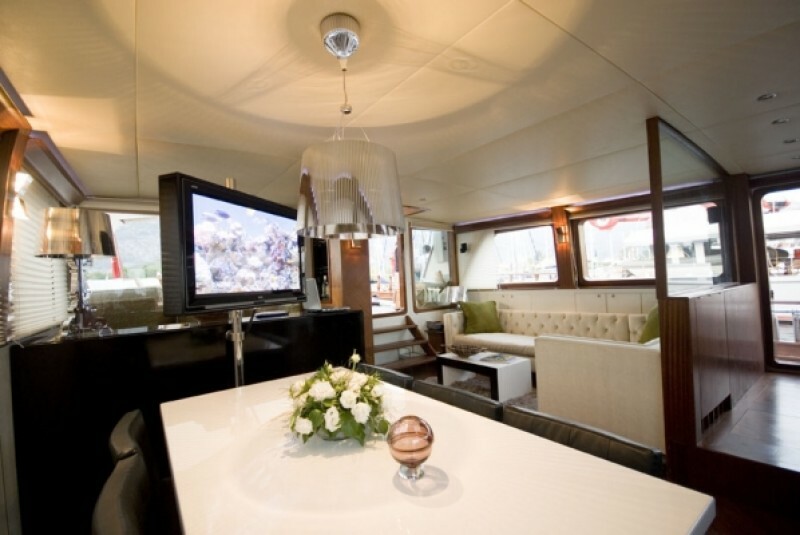 All cabins are located forward, are air-conditioned and enjoy satellite TV, DVD and music systems. 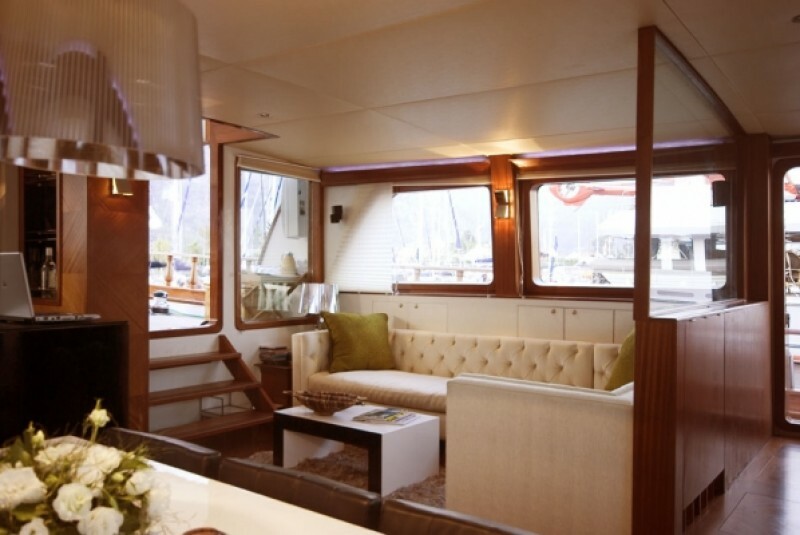 The saloon is the ideal area for relaxing with the comfortable lounge sofa corner and a full television and home theatre system, or to enjoy meals and snacks at the dining table opposite. 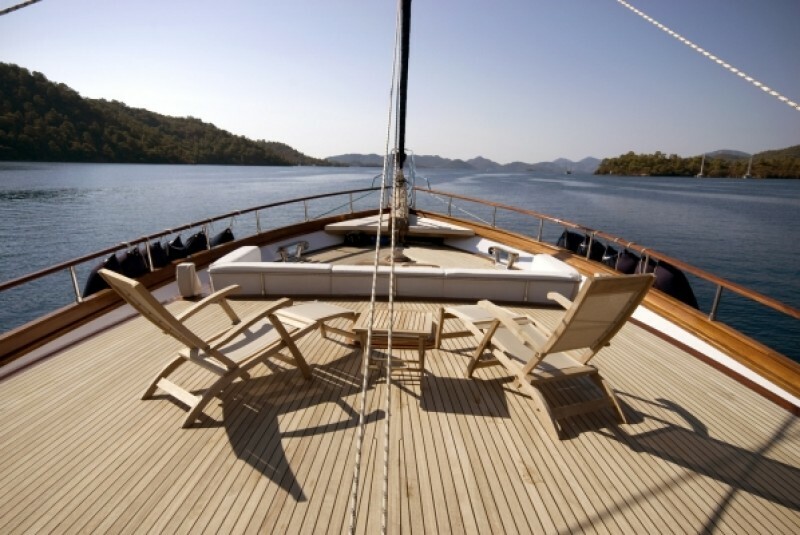 The ample deck space aft carries a full dining table and a generous bank of cushions ideal for sunning or, with the awning extended, reclining in the shade. 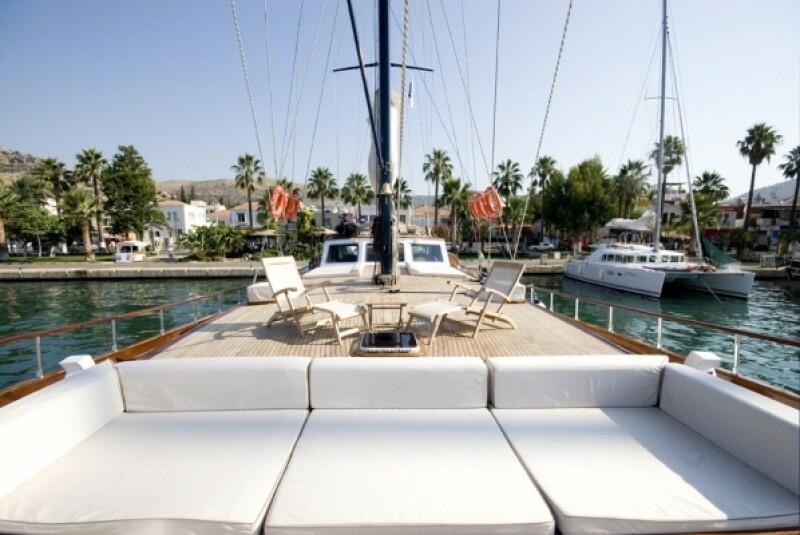 The spacious foredeck with the sunbeds and deck chairs and the comfortable and wide bow seat provides ample space for guests to enjoy some carefree time relaxing in the sun or taking in the views of the passing superb coastlines and bays and to enjoy drinks and refreshments for the magical sunset hour. 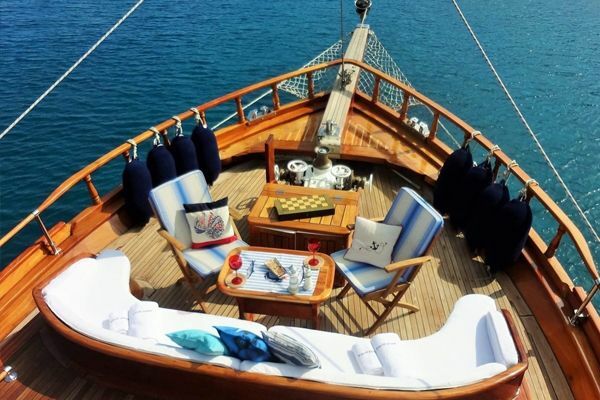 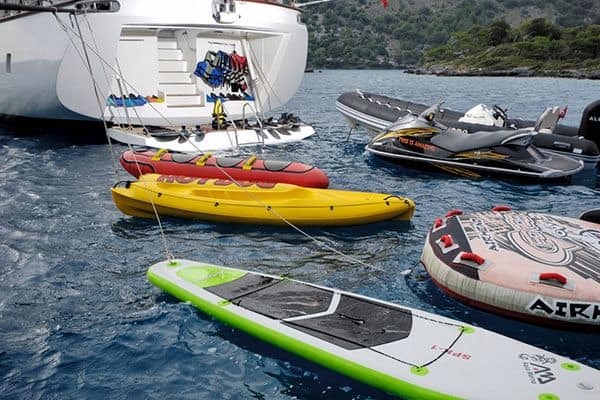 The deck is also a vantage point for watching the most active guests aboard enjoying the excellent array of water toys aboard. 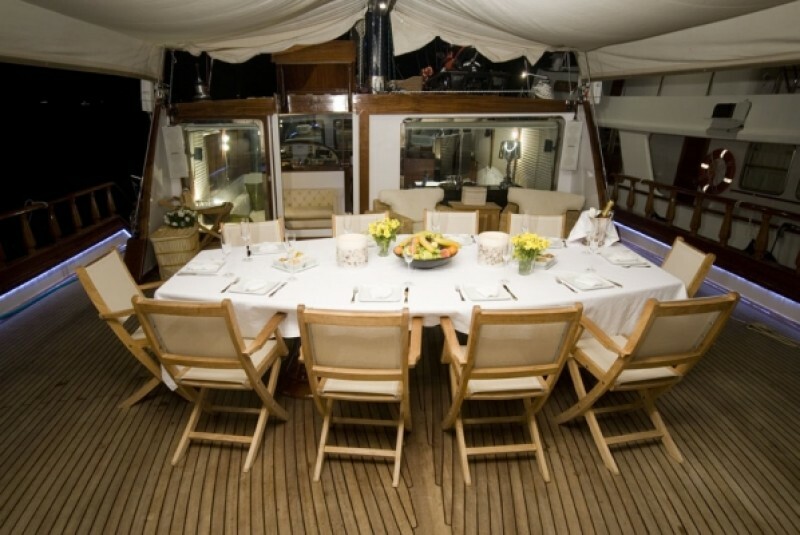 The crew’s dedication to service and hospitality makes the cruise holiday aboard Papa Joe a very special one with the professional captain and his crew including a hostess. 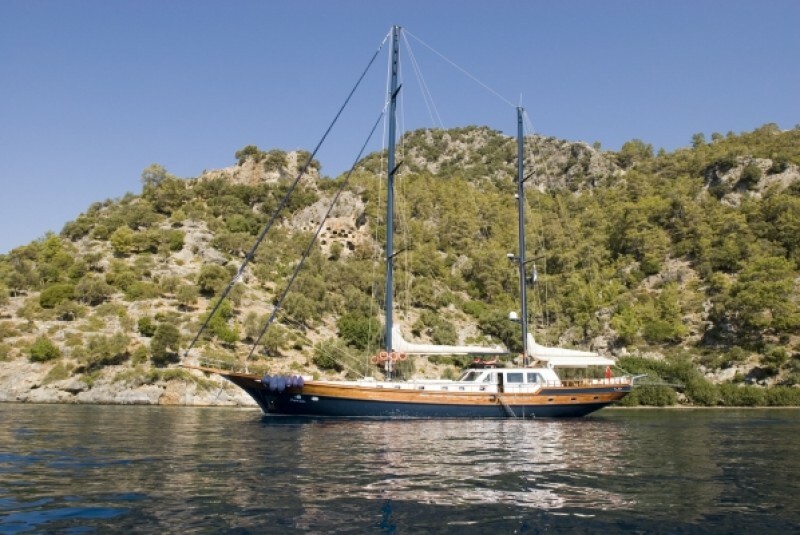 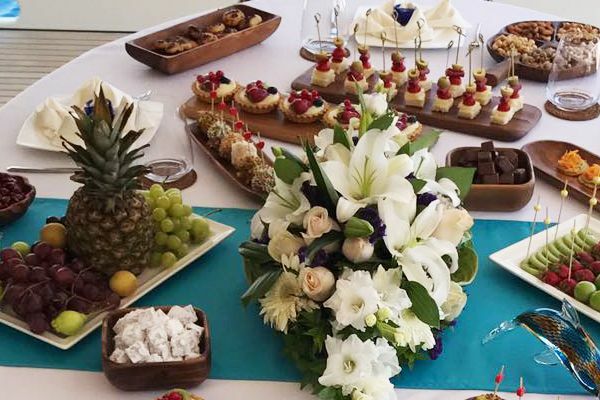 He knows the best places to moor or to explore, to meet the guests’ wishes for privacy and tranquility or for enjoying new experiences while on their gulet cruise along the Aegean or Mediterranean coasts of Turkey and Greece.